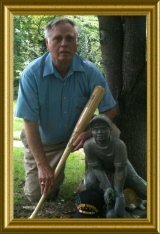 BaseballLingo-page4, G - J .... Transmitting More ---- Baseball Talk! BaseballLingo-page4 provides much more of the interesting baseball talk in a down home language, vocabulary, terminology or jargon which you hear both the fans and the players using around the ball parks. Whereever baseball folks gather they might as you very well know be talkin and describing this game of baseball in baseball lingo. This page Baseballlingo-page4 provides an alphabetical grouping (G-J) of selected unofficial and specialized terms, phrases, and other jargon used in baseball, and their definitions, including illustrative examples for many entries. You get a chance to learn more about baseball by learning the lingo of the game! of these other sector links below! Game of Pepper: Three to five players line up about ten yards from a batter and take practice hitting and catching. The hitter is practicing bat control while tapping or gently bouncing the ball on the ground but back to these defending fielders. At the ball park you might even see a big sign near the dignitaries’ box seats, which reads, "No Pepper Allowed". Boys will be boys and if the game gets too rambunctious the mayor might get a tattoo on the forehead. As boys or even men will do playing pepper, the tap back to the fielders’ turns into a gentle smash and it gets hotter and hotter until it is pepper hot. All the ladies know exactly what it is about when they compare it to their jump rope play. The girls know the jump rope trick where swinging the rope gets faster and faster. As a matter of course I believe the little ditty they sang goes something like this, "Peas porridge hot, peas porridge cold, peas porridge in the pot nine days old". Look out somebody is going to get hurt. I'll get a knot on my head if I don't get it right. Come now Baseball Lingo-page4 has told you this game of pepper can get hot. You would not want your Mayor of your fair city to get konked on his noggin from a pepper game. Get another Piece of Lumber: When a batter breaks his bat his teammates will razz him and tell him to get another piece of lumber i.e. (bat). With the onset of using Aluminum bats our baseball vocabulary will probably be baseball lingo-page4 razzing like dude get yourself another "whistling stick." Goose Chase: The back and forth toss between defenders before running down of a base runner and tagging him out is called the goose chase. The run down and the goose chase are essentially the same act but only different stages of the action. I thought baseball lingo-page4 was going to baseball-talk not about the Goose which laid the golden eggs. Jacks chase from the castle almost cooked his goose right here on baseball lingo-page4. Gopher ball -- A pitch hit for a home run, as in "go for" a homer. Baseball lingo-page4 could be totally wrong but in days when there were no fences to send the ball out of the ball-park a well hit ball climbing and landing deep in the outfield briars and weeds someone had to Go-Find-It or Go-For-It thus translated Gopher ball. Grand Slam: A hitter hits a homerun with the bases full of runners; runners are on first second and third base. It can also be referred to as clearing the bases. It brings the crowd to their feet and the cheering is deafening. For the moment the hitter is everyone’s hero and he is the toast of the town for many days. The old baseball duffers around town will exclaim I knew he could do it. A grand slam in the internet/cyberspace world is having a world class support team to help you to develop your very own and personal web site. Take the lead from baseball lingo-page4 direction to do so. the Grand Slam is one of the most exciting crowd pleasers you will find here on baseball lingo-page4. Grandstander: Many ball players have an ego as big as a mountain. Any time a situation presents itself during a game they do their darndest to get crowd recognition. They will do whatever is necessary to bring attention to their play. Grapefruit League: If Florida is the major leagues spring training Citrus League then the Arizona area must be the Grapefruit League. Grounder: a ball hit and the ball leaves the bat staying on the ground either rolling or hopping or bounding into the infield or even hit hard and is moving fast enough it is hit past the defensive players of the infield and goes zipping on into the outfield area skipping along the ground. Ground Rule Double: There are several different scenarios whereby the umpire may rule a hit ball as being a ground rule double. The most often seen call is a fly ball drilled into the outfield that bounces over the fence. The other prevalent call is when some obstruction along the foul lines prevents an outfielder from retrieving a fair hit ball that finds its way out of play. You and I both thought a hit ball between the foul lines could never get lost in a big well lighted baseball park but sometime the bounce of the ball plays some strange tricks. Baseball lingo-page4 reminds us that such things as going into the big tube of infield field covering along the foul lines or getting mixed into the bull pen crowd. Ground Rules: Every ballfield, playing field or ball park has its own unique physical layout and elements peculiar to the surroundings and close proximity of the field of play. Before a game starts the two team managers meet and discuss what rule to use if the ball goes astray and some particular obstruction of the field does in fact interfere with the play. These we call the ground rules and they only apply to that particular playing field just as baseball lingo-page4 only handles the G-J alphabet part of the lingo. Groupies "Baseball Groupies": Baseball like every major sports venue has its following of keenly appreciative fans who love the game or the men who play the game. Generally speaking the non married baseball playing dude with all-american looks with body by Atlas and a super athlete will many times have a huge group of adoring and star struck unattached female fans. This specific group of adoring single women will often become so attracted to their star athlete she/they will attend game upon game just for the thrill of watching her hero compete and show off his athletic prowess/skills of the game. Baseball, does have and always will have, its fan base of "Baseball Groupies." Heat -- A good fastball. Also "heater." Getting warm and coming up with all the answers here at baseball lingo-page4 is everyday stuff. High and tight -- Referring to a pitch that's up in the strike zone and inside on a hitter. Also known as "up and in." The Marines when getting a haircut does not need to remind the barber to cut it high and tight for baseball lingo-page4 knew long ago the Marines like it that way. Hill -- Pitcher's mound. Out there in the middle of the diamond infield stands the pitcher on a hill of dirt with a rubber slab for him to stand upon. Since he holds and throws the litle white baseball at his command on every pitch just maybe that is where the ole phrase originated, "King of the Hill." He’s been in Somebody’s Hen House: On the playgrounds when a batter would foul off several pitches into foul territory the players would tauntingly claim he had been in somebody’s hen house. Hidden Ball Trick It sure makes a difference and just might provide the winning edge. I promise you if you have never seen this action before it can work like a charm. Tom foolery is not new to the baseball antics often used to win games at the ballpark. Hit and Run: Runner or runners on base will leave their base when the pitcher starts his motion to pitch to the batter and by signal the hitter must hit the pitch or at least try to hit the pitch. Runners are at the mercy of the hitter to protect this daring maneuver. It is a beautiful strategy when it is executed to perfection. Hit him between the Running Lights: A metaphor to instruct the second baseman on how to turn at second base and fire to first for that twin killing i.e. double-play. Without question the runner coming from first base to second base when his teammate hits a grounder (is taught to slide hard and break up that double-play throw). The little 2nd sacker is basically defenseless and will be brought down in a heap. All players in a league of play will soon get the word that (little Johnny) the second sacker for your team will let that ball loose and put a new part into your hair style. Hence the metaphor hit him between the running lights has strategy message written all over it. Hit Him In The Letters: Instructions for the outfielder when throwing to the cutoff man that relays the ball back to infield to keep the runner from making extra bases. Baseball lingo-page4 reminds us that the letters on the players uniform is big block Letters but some times in script format right across the players chest. Make those throws right into your teammates chest or letters. Hit Through The Hole: There are gaps or spaces between the infielders i.e. space between the third baseman and the shortstop and space between second baseman and the first baseman. A hard hit grounder streaking past the infielders thru these gaps or spaces are hits thru the hole. Like a scampering wampus cat a ball hit in the gap unreachable by the shortstop or the third baseman is by definition of baseball lingo-page4 "hit through the hole." Home Plate: Home Plate is known by several names: 1,home; 2,home plate; 3,dish; 4,home base and 5,plate. Home plate sets the cornerstone anchor of the baseball diamond. It is a trapezoid shaped configuration which is a one piece molded white rubber mat. It is 17 inches wide measured across its front or leading edge and is 8 1/2 inches deep from the leading edge, and then an equilateral triangle having two equal legs of 12 inches forms the tail of the plate. The plate being one piece but designed by an 8 1/2 inch by 17 inch rectangle buttressed against a 12 inch by 12 inch by 17 inch equal leg triangle. Now can you draw it for me? Baseball lingo-page4 hopes you do not confuse home plate with the dinner plate at home come supper time. Home Run: a hitter drives the ball out of the park as a fair ball. Occurs if the hit stays inside the park and is fairly playable but the hitter is swift enough to circle the bases and safely reach home. Baseball lingo-page4 or any of baseball-talk is used for many descriptive referrals even in the business world when our business starts to grow beyond our wildest dream we might refer it to hitting a home run. You also can hit a home run if you have a service type business by using the internet to grow that business. You may already have a going enterprise let's say, "A service type business." Your business is your pride and joy however you know it could use a good dose of growth tonic. Consider this Sitesell help as the exact needed growth tonic now available to push the envelope for your business growth. 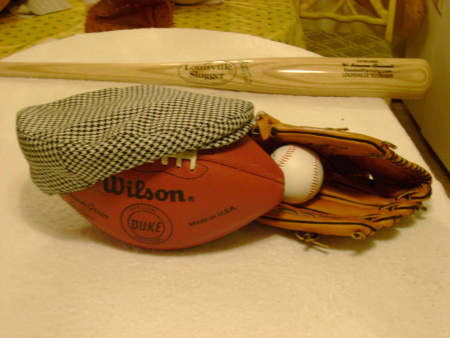 Horsehide: Covering for balls in early days of the game. Players say, "Hosshide". Hot Corner: Third base is also known as the hot corner. Predominantly, most teams are made up of right hand batting ball players. The odds are greatest; therefore, that the third baseman gets many more balls coming his way than say the first baseman. The result is that these right handed hitters who get their bats in front of a pitch can drive it so fiercely and with such velocity, it is hot to handle by the third baseman. It's a matter of numbers i.e. more right handed hitters, more hot potatoes, headed to that third sacker. Thus! Hot corner! Hot Dogger: Some ball players like to show out, by acting as if he just executed a really tough play, while trying to convey by words or body language there was nothing to it. In fact many times he was simply lucky on the play. Hot Stove League: its winter time and baseball season has to wait for spring when the flowers start to bloom. This time of year does not deter those old codgers who have had their day in the sun from dreaming. They will sit around that big pot belly stove down at the general store and will they tell some baseball tales. This is our Hot Stove League. Team owners and team managers can take a vacation this coming season because these gentlemen have fully thrashed it out. Starting pitcher rotation is all figured. The first baseman who only hit .210 is to be sold to the Sally League. Go figure. This is Hot Stuff. Hot Stove League in its full glory. In the Dirt: This lingo can have double meaning. It might be a coach’s frantic plea for a base runner to get down and dirty and slide into that base. Then again it might be referring to a pitched ball that hit the ground. You will often hear a player exclaim, "Aw come on Ump, It was in the dirt." In the Hole: The next hitter up is said to be "on deck", the next man after him is said to be "in the hole". Simple enough huh! Batter, batter on deck and batter in the hole. Infield Captain: By virtue of his position of play on the diamond the shortstop normally is designated or else plainly assumes this responsible role. A sharp heads up shortstop calls the position responsible for high pop flies when it is questionable who has it. The shortstop also should move his fellow infielders around into proper defensive modes. Should we play up short to cut the runner from scoring from third on a ground ball? Should we play back in normal depth and go for the inning ending double play? I must hasten to say these are the type things that all good shortstops should demand. I'm the captain and this is how we are going to do it. Managers and coaches of today’s game think it is their job to be totally in charge. How sad. Infield Fly Rule: Click on this Infield Fly Rule phrase and see how the Ump can cry out "you're out" and the ball hasn't even been caught. This is one rule and piece of our baseball game rules vocabulary you need to understand. Understanding its meaning adds to the game. Intentional Walk: By design a free pass given to a hitter. Many times in games where the score is tied in the late innings of a game and a really good hitter comes to bat he may be walked by intent. A really good heavy hitting player can win a game with that one mighty blast to score either a solo home run or if runners are on base will really cause some havoc with the score. The pitcher and the coaches do not want this to happen so they intentionally throw four (4) straight balls giving him a free pass and walk to first base. "Just a long out": No kidding. Two hitters for the softball USA Slow Pitch National Team were called out for hitting fair balls over the fence-in violation of the 10-homer team limit-in a 38-37 loss to the USA Futures in the Slow Pitch Showdown in Oklahoma City. Seattle Mariners pitcher Hector Noesihas has given up 19 round trippers in a stint of 91 2/3 innings just might be in favor of such a rule for baseball. jam -- When a pitcher gets himself in trouble by getting a litle loose with his pitches and runners are on base and less than two outs. he is in a "jam." Also when a hitter gets a pitch in close near his hands, he is "jammed." Baseball-Vocabulary-page4 is nothing more than sharing some info to make the game more enjoyable, for it is doubly so, when armed with the knowledge of the game. "Well Howdy Doody! 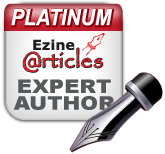 Fancy this a Platinum E-Zine Articles man"
"Fancy Up Town Dude Huh! Running Around Baseball Lingo-page4 With All Kind Of Medals And Awards"
Report any broken links of Baseball Lingo-page4 or other pages of our Baseballfarming would be a big help Contact Us. Go Shopping Online From Baseballfarming Buy Your Quality Products Saving Both Time And Money.